Have you ever wondered why you diamond bank visa card is not working for you online? Have you been in a desperate situation when you need to transact on a web platform and after entering your card detail, the next thing you see is ERROR "Your card have not been activated for online transaction. Please contact your bank/financial institution"? Here is the solution...You're on track now to solving your card issues, just relax and take a cup of tea as you read and jot down the instructions below to activating you Visa card iPin and start transacting with out issues. Firstly, iPIN simply means Internet Personal Identification Number. Diamond Bank have been able to distinguish between your ATM transactions (Regular Card PIN) and your Online transactions (iPIN). Your iPIN is a four digit number that acts as a second level authentication for all your online transactions. For you to set up your iPIN, you must visit a diamond bank ATM... Note: Only DIAMOND BANK ATM can be used to setup diamond bank visa card. Step 3. Select the option "more services"
Step 4. Click on the option "generate iPIN"
NOTE: Enter 4 numbers that you will remember. All set, you're good to go transacting online. Your online transactions will now be successful as much as you have funds on your account and your transaction is within the diamond bank limit for your account. Any more failed transaction will be due to network error or insufficient fund. When transacting online you will always be ask for your iPIN on the visa verified platform, enter the 4 digit numbers you selected in Step 5&6 above. NOTE: Please do not enter your iPIN on any page that is not redirected to the visa verified platform. 1. The following details of your card are personal to you; Card number, Card PIN, iPIN, CVV2 (3 digits behind the card) and Expiry date – Never disclose them to anyone. Not even Diamond Bank! 2. Keep your Diamond ATM Card away from heat and from mobile phones, radio equipment, magnet or magnetic materials and any device emitting electromagnetic waves (including stereo), as they could wipe out data stored on the chip of your card. 3. Always contact your bank via their email, web live chat or mobile contact. You're most welcome, keep checking back for more update. Also don't forget to Subscribe to our push notification to get alert of latest post direct to your phone or pc, follow our social media channels. Thank you, it's our pleasure to always inspire and enlighten our readers. Hey! Sorry to hear that. Did you try it on a diamond bank ATM? You have to note that the iPIN can only be set on a diamond bank ATM and also it's a four digit number of your choice, it's not your ATM card pin. Give it a try again or visit a branch for assistance. I did everything successfully. But still couldn't transfer with Quickteller. Sorry to hear about you card issues. I just discovered that diamond bank and visa card have stopped the iPin and now uses the regular OTP. You need to visit any diamond bank branch to get assistance. Hey Daniel, take it easy. 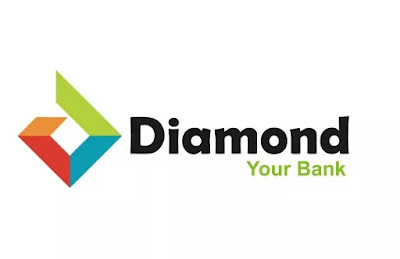 I think diamond bank is not allowing international card transaction for now due to the exchange issues. Try to visit any diamond bank branch or better still, ecobank is a sure one for international transactions. can this card be used only locally or can also be used to purchase on sites like amazon, alibaba....etc? Yes, it can be used! can i use IRR to buy perfectmoney? if yes, how ?